Living up to a campaign promise and his Eight Point Platform for the Broward Republican Party, Chairman Richard DeNapoli staged yet another successful fundraiser in Saturday’s Lincoln Day Gala. 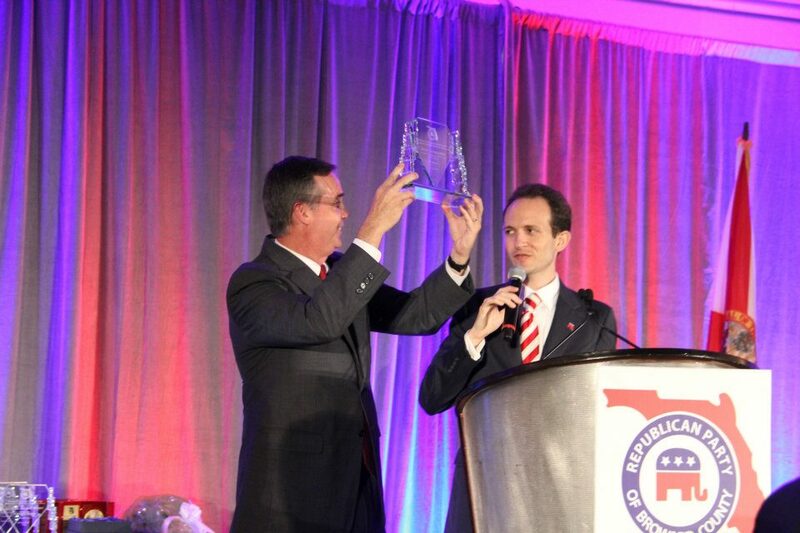 Almost 500 Republicans attended the annual Lincoln Day Gala at the Hyatt Regency Pier 66 in Fort Lauderdale. 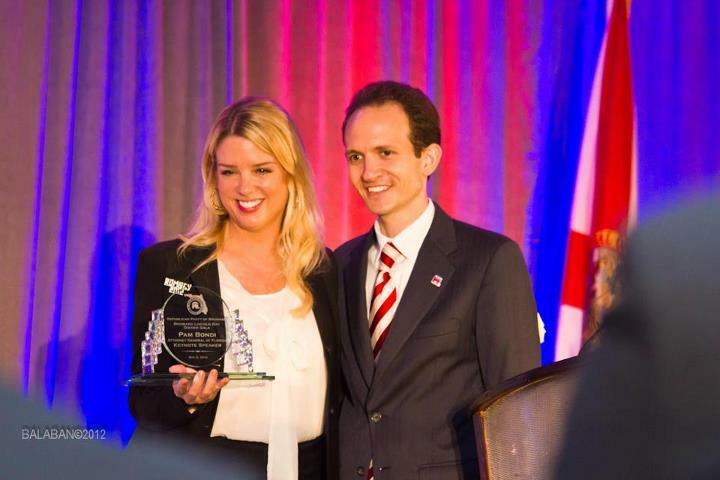 Florida Attorney General Pam Bondi was the featured keynote speaker at the Broward Republican Party event. Chief Financial Officer Jeff Atwater, Congressman Allen West (FL-22), and Republican National Committee co-chair Sharon Day were among special guest speakers in attendance. 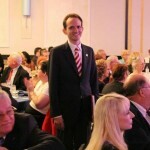 Party Secretary Michael De Gruccio returned as the 2012 event chairman. 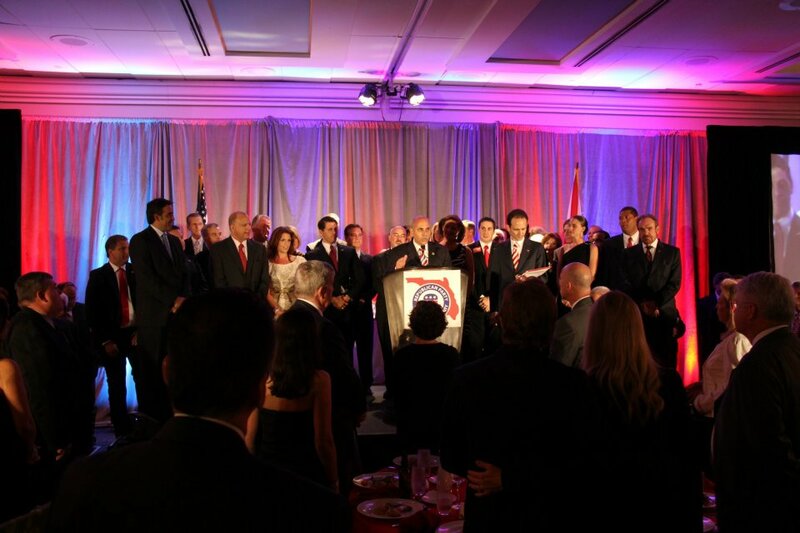 Prior to the dinner, BREC Chairman Richard DeNapoli hosted a VIP Reception for nearly 200 that included the Florida Attorney General, the state Chief Financial Officer, a prominent Congressman, the Republican National Committee Co-Chairman, a number of local, state, and federal officials as well as candidates for public office. Returning as auctioneer from appearances at both the 2011 Broward Lincoln Day Gala and the inaugural Grand Old Party BBQ was Highlands County Commissioner Don Elwell. Standing tall above the crowd, Elwell successfully raised thousands of dollars for local Republicans through a live auction. Attorney General Pam Bondi opened the evening as the featured keynote speaker with a feisty and dynamic speech on a variety of issues. Bondi, who had just returned from a trip to New York and the taping of a segment on Sean Hannity, donated a pink tie – autographed by Hannity – for the evening’s live auction. Still excited from her recent argument before the U.S. Supreme Court on the constitutionality of Obamacare, Bondi recalled some of her experiences concerning the case. The audience applauded and cheered throughout his 19 minute speech, as West appeared before Broward Republican’s for a final time. West concluded with words from the farewell speech given by Confederate General Thomas J. “Stonewall” Jackson when he was promoted by Robert E. Lee. “He said to his brigade they would always be first in his heart,” said West. “Broward County will always be first in my heart, and I will never forget you,” he told the standing room only crowd. Special guest and Republican National Committee co-Chair Sharon Day was also encouraged by the work of the Broward Republican Executive Committee and stated so in an interview following the event.